It's been an exciting week in the UK Parliament. Some MPs should be proud of their actions, others thoroughly ashamed. Herewith are some of the heroes, villains and victims. I feel very strongly that our opposition to racism and to sexism and our support for equality before the law and an independent judiciary are hugely important considerations in the House of Commons. This is absolutely the right decision. The duty of the Speaker is to protect the integrity of Parliament. It is true that Bercow has previously welcomed authoritarian leaders such as the President of China and the Emir of Kuwait. I don't think he should have invited them either; but this is a different case altogether. It is one thing to greet a foreign leader who may make some gesture towards improving his country's human rights record, or at least does not appear to be taking it backwards. It is quite another when the President of the United States appears hell-bent on demolishing his country's long and proud commitment to the rule of law. The United Kingdom is a close friend and ally of the USA. This is not a time for friends to sit by and pretend everything is fine. It is a time to stand up and say, this is not normal, and we will have no part of it. It places Parliament on the right side; and it might give some comfort to the better angels of America's nature. Bercow deserves the warmest congratulations for doing so, but many of his former colleagues in the Conservative Party see it differently. One of them has just begun an attempt to unseat him as Speaker. I hope Bercow hangs onto his job; strength of character is a rare commodity in our leaders nowadays. The bill to authorise UK withdrawal from the European Union is a case in point. All amendments offered by the opposition parties have been defeated. Some were pointed acts of criticism, such as the amendment to audit the effect on the NHS, and reveal just how hollow it was to promise an extra £350 million a week. Some were acts of simple humanity, as with the attempt to guarantee the rights of EU citizens resident in the UK. At least one, the amendment to safeguard the Good Friday peace agreement in Northern Ireland, is literally a matter of life and death. All of them were voted down. The Conservatives voted in lockstep to defeat them, with the one exception of Kenneth Clarke. He joined a defiant coalition of the SNP, Liberal Democrats, Plaid Cymru, Greens, SDLP, and Labour rebels. They were honourable but doomed, with nowhere near enough votes to threaten the government. A brutally simple bill will go the Lords, empowering the government to invoke Article 50 and begin the exit process with no conditions whatsoever. This is a sad state of affairs. The government has a working majority of 16. The Commons should not have found it difficult to hold the government to account, but it has now thrown this chance away. The Lords are presented with an interesting dilemma. The balance of parties is such that they have the votes to amend and delay the bill; but their popular mandate to do so is doubtful. On the one hand, they would be speaking for the 48% who voted Remain, and many others experiencing doubts about the consequences of Brexit. On the other, none of the Lords were elected; and the 102 Liberal Democrat peers represent a party reduced to a mere 8 MPs in the 2015 election. A government source has reportedly threatened the Lords with abolition if they stand in the way of Brexit, although the Prime Minister's office has distanced itself. As a matter of short-term tactics, this is meaningless. Under the Parliament Acts of 1911 and 1949, the Lords cannot halt a bill passed by the Commons, but only delay it by up to a year. 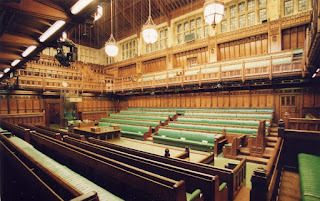 If the government prepared a bill to abolish the Lords, and voted it through the House of Commons, the Lords themselves would surely oppose it, which the government could only overcome by... invoking the Parliament Acts, which would incur a delay of a year. This is most inconvenient for Theresa May's timetable. She has said she intends to invoke Article 50 next month, starting the two-year countdown to formal withdrawal from the EU, which would then be completed in March 2019. It is sure to be a painful and controversial process, a source of conflict across the country and within the Conservative Party. The next UK general election is due in May 2020. Under May's preferred plan, Brexit would be comfortably over with before the election campaign got underway. The Conservatives would have some time to draw breath, bury their differences, and concentrate their attention on Labour. If Brexit is delayed until March of 2020, that would be far too close to the next election for comfort; and May has no wish at all to fight a general election campaign with Brexit half-completed. As a longer-term measure, I find it interesting that the Tories may be gauging the terrain for a fight against the Lords. Brexit could provide a convenient casus belli for them to abolish the unelected chamber, and replace it with something easier to manipulate. Abolition might also be a revenge served cold, if the Lords hinder May's plans for Brexit. The Tories used to love the House of Lords. Prior to Blair's reforms in the late 1990s, it had hundreds of hereditary peers who were overwhelmingly Conservative. They seldom turned up to vote, but if necessary they could be summoned to smooth the way for a Conservative government or frustrate a Labour one. Now most of them are gone, and the Lords is a hodgepodge of life peers, a remnant of ninety hereditary peers, and twenty-six Church of England bishops. The whole thing is a grievous affront to democracy, with the one saving grace that it's difficult for the government to push around. No one party has a majority, and the members of the Lords have jobs for life. It would be a rich irony if the Conservatives, defenders of heredity and tradition, wound up consigning the Lords to the scrapyard. The trouble is, I have absolutely no faith in their will to provide democratic scrutiny of the government. Their preferred replacement would likely be a chamber chosen by some sort of indirect election, feeble in its powers and tightly controlled by party bosses. It will be an interesting thing to watch out for after the 2020 election. Corbyn continues to shamble along helplessly. His MPs have failed to remove him from office, so his position is probably secure until the next election; but his authority over them grows weaker by the day. He attempted to impose a three-line whip, insisting his MPs vote for the government's Brexit bill. More than 50 of them defied him. That included some of the whips themselves, who ordinarily would have been responsible for enforcing party discipline. 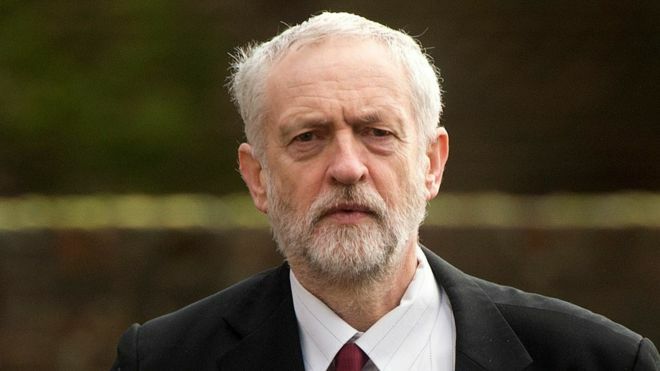 Some frontbenchers resigned their posts; others didn't bother to resign, but Corbyn has so few MPs willing to work for him that he has been unable to sack them. To make good the resignations, he is now undertaking his fourth Shadow Cabinet reshuffle in 18 months. Labour is now deploying its fifth-string talent, when it was not richly endowed to begin with. I'm one of the last people to have any sympathy for Corbyn. He's failing woefully in his duties as Leader of the Opposition. But the fact is, any Labour leader would be in an impossible position right now. The list of Labour rebels makes for interesting reading. The best predictor of rebellion is not ideology, but geography. With a few exceptions, the rebels represent London boroughs, prosperous cities such as Edinburgh or Bristol, or university towns such as York and Cambridge. What these places have in common is that they voted heavily to Remain. Take my home city of Cambridge. It voted 74% in favour of staying in the EU. Its Labour MP, Daniel Zeichner, was first elected in 2015 with a majority of 599 votes over the Liberal Democrats; meanwhile UKIP came in fifth, behind the Conservatives and Green Party. In 2020, Zeichner will have a tough fight to retain the seat against former LibDem MP Julian Huppert. Opposing Brexit is an absolute no-brainer for him, and resigning his post as shadow transport spokesman is a small price to pay. Conversely, take Liz Kendall, ultra-Blairite and former leadership candidate. She has made no secret of her disagreements with Corbyn. So why is she missing from the list of Labour rebels? Maybe because her constituency is in Leicester, which voted 51% Remain, 49% Leave. At the last election, she had a majority of 7203 over the Conservatives; but UKIP received almost 6000 votes. Defections from Labour to UKIP could easily hand the seat to the Conservatives or allow UKIP to win it outright. Similarly, former leader Ed Miliband is a committed European and no friend of Corbyn. He didn't rebel on this Bill. His constituency is in Doncaster, which voted 69% to Leave, and UKIP came second there in 2015. I think Brexit is a dreadful idea, but I must admit this is a rough and ready form of democracy in action. For Labour though, it is agonising. Many MPs are caught between their pro-European principles and anti-European constituents. The party as a whole is trying to satisfy both the most anti-Europe and the most pro-Europe electorates in the country. Both Labour and the UK itself are in a bad place, and it's likely to get worse. In the old joke about asking for directions in rural Ireland, the local man shakes his head sadly and says, "If I were you, I wouldn't start from here." I really don't know how Britain can find a path to anywhere better. I'm left hoping the Conservatives won't bring about complete and utter catastrophe, which is a thin hope indeed.